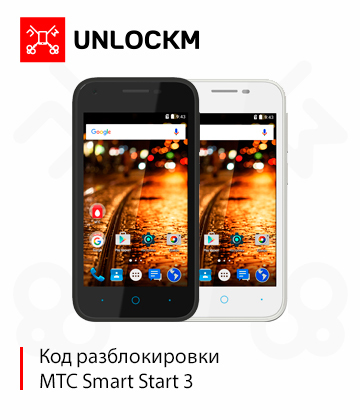 Unlocking the phone MTS Smart Start 3 code. 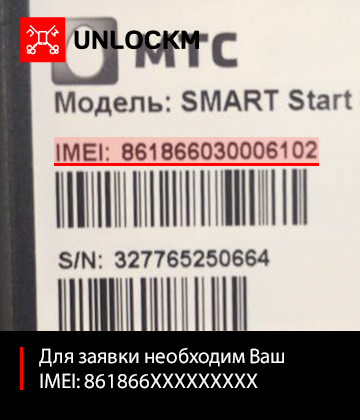 Unlocking of these models is carried out by the IMEI. Your phone must ask for "Enter the network lock code" and have the presence of attempts (by default the data of all models 100). For a successful result phone must have a 1 attempts. Unlock code is unique to each phone. 2. Enter received from us a unique 8 digit NCK unlock code for your phone. 3. After entering the code, your phone will receive all the sim card of any other operators in the world. 1. Your phone must ask for "Enter the network lock code" and have the presence of attempts. 2. Funds for the received codes are not returned. 3. If you have any questions do not hesitate to ask their operator. 4. The period of processing your orders from 5 minutes to 24 hours. 5. Correctly specify your IMEI and forms of communication with you. 7. By making a purchase you agree to the terms of service and are familiar with them.